Large countries like India and China are experiencing mass population shifts from rural communities to cities. In India, air pollution is the fifth-leading cause of death. Therefore, on days when cities experience haze or smog, people are encouraged to stay indoors. But, can that really prevent the exposure to polluted air? It turns out that heading indoors isn’t necessarily the better alternative to being outdoors. Workers and residents can spend upwards of 90 percent of their time indoors. Why is indoor air so bad today? These numbers come from a study out of Baptist University. Although the study focused on kitchens in Hong Kong, it was a great indicator of the issues related to IAQ within the home. It seems a building’s indoor air quality is only a good as the air quality of the outdoor environment. There are long-term and short-term health dangers related to exposure to poor air quality. People may experience sore throat, dizziness, fatigue, and eye or nose irritation. More symptoms are outlined at length here. For people with pre-existing health issues, immediate reactions to air pollutants could be deadly. 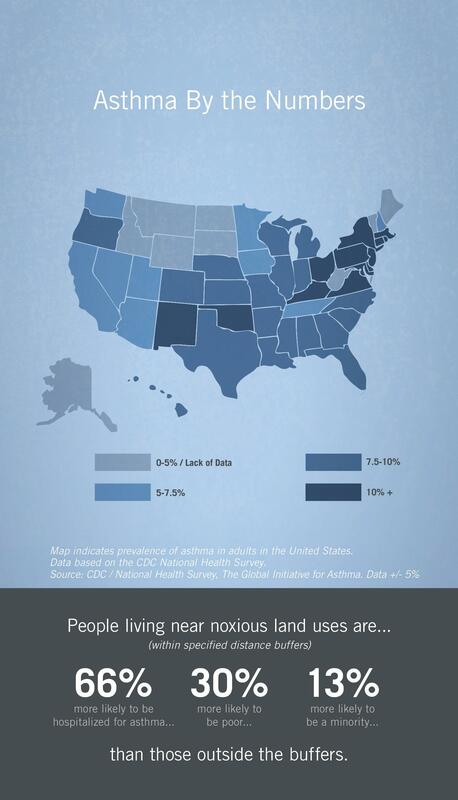 For instance, the United States Center for Disease Control (CDC) says people living in highly polluted areas are 66 percent more likely to be hospitalized for asthma than those outside of those areas. In the long-term, those who have sustained exposure to poor IAQ may develop chronic conditions such as heart disease, cancer, and respiratory diseases. There is more to poor IAQ than just health concerns. Now, let’s talk about how IAQ impacts businesses. Poor IAQ costs business more money. According to a 2007 report out of Helsinki, IAQ affects work performance. Businesses that mitigated IAQ issues saw significant work performance improvements. The cost-benefit of improving indoor air temperature and ventilation could reach $700USD per person, per year. That should be inducement enough to encourage businesses to take IAQ seriously. To improve IAQ, a building needs to be capable of controlling four things: temperature, ventilation, humidity and CO2 levels. Therefore, enclosed areas require proper ventilation to ensure CO2 levels are stabilized and that workers are given the proper environment to work in. There is also the issue of perceived comfort. For a home dweller or office worker to feel comfortable, companies must use technologies to program desirable IAQ parameters. Every consideration must be made in the building’s design process to utilize temperature controllers, actuators, valves, HVAC systems, radiant systems and more to achieve this goal. Uponor has developed a line of products that address many controllable aspects of IAQ. Radiant cooling and heating are not particularly innovative or new. However, the mechanism of running cooled or heated water through pipes in floors and ceilings are one surefire way to improve IAQ. In contrast to conventional all-air systems, there is an increase in thermal comfort AND energy savings. How does radiant heating and cooling improve IAQ and related health concerns? Mould: Radiant systems discourage condensation, the initial cause of mould. Thermal Comfort: Radiant heating and cooling addresses both air temperature and radiant temperature, making people feel cooler at warmer temperatures. Outdoor Allergens: If using a Dedicated Outdoor Air System (DOAS) along with radiant heating and cooling, allergens are limited and fresh, filtered air is pumped into the space. In addition to addressing health concerns, Uponor’s radiant products improve building energy performance while ensuring low maintenance costs. For building and homeowners with budget concerns, this fact can’t be overlooked. “Sustainability” is a word that is thrown around when discussing air quality. Improving a building’s indoor quality also helps improve the outdoor air quality through the adoption of eco-friendly systems like Uponor’s radiant cooling and heating. Because the government is backing such initiatives, engineers and designers should, in turn, see a demand for energy efficient systems from consumers. Implementing Uponor’s radiant heating and cooling may address the air quality issues connected with population growth. In turn, it makes for safer working and living environments that boost productivity and a company’s success.